RAM : 4MB standard Maximum on Motherboard 8 MB. 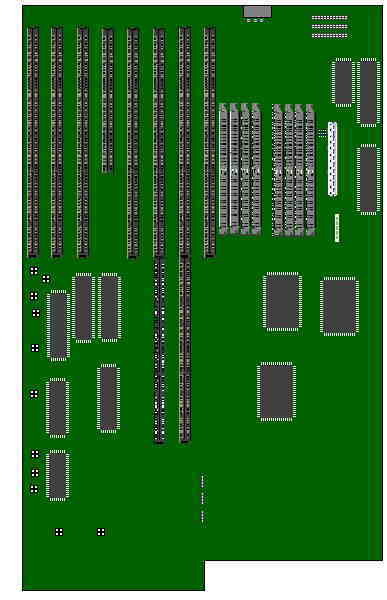 This board will accept RAS/CAS, Fast-Paged, or Static Column memory upto 8MB. SIMM Speed either 80ns or 100ns (100ns recommended). See the jumpers section for necessary jumper changes when upgrading memory.